How do I recharge using my Safelink Wireless refill code? 4. Press OK when you see ‘Card’ or ‘Pin’. How do I check my Safelink Wireless balance? 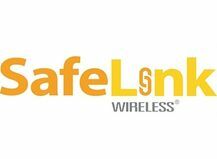 Please visit the Safelink Wireless website, in order to check your balance. How long is my SafeLink Wireless Refill valid for? SafeLink Wireless Refill plans are valid for 30 days after activation. How do I contact Safelink Wireless? There are various ways to contact Safelink Wireless. * To contact Safelink Wireless, please call 1-800-486-1707. * To contact Safelink Wireless customer service, please call 800-723-3546. Please visit the Safelink Wireless website, in order to contact the Safelink Wireless customer service. What are the Safelink Wireless tariffs? To learn more about the prepaid tariffs, go to the Safelink Wireless plan page for more information. These SafeLink Wireless Refill Vouchers allow you to recharge/refill the amount of credits on your mobile account. Most people who use these products are prepaid/pay as you go users. They (usually) don’t have a monthly subscription with SafeLink Wireless or any other provider. On Rapido.com you can easily buy a Safelink refill voucher and redeem it within 30 seconds. All you need to select one of the Safelink Wireless plans, submit your email address, choose one of our secure payment methods and proceed to the checkout. We’ll send you the Safelink refill voucher by email. By using this service, you consent to the Terms of Service available at SafeLinkWireless.com. Unlimited does not mean unreasonable use. Safelink reserves the right to reduce data speeds and/or terminate your service for unauthorized or abnormal usage. Video streaming or other high-bandwidth applications may be available on Wi-Fi only. Many jurisdictions impose recurring taxes and fees that may be debited from your account. No refunds or exchanges. If you change plans prior to your airtime expiration date, you may lose any remaining value on your account.